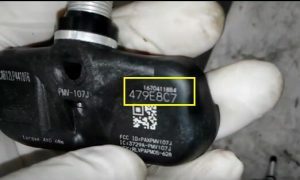 Note:Before you installing TPMS sensors,you need to recored the ID code of each TPMS sensor.Because you need to enter these ID codes when programming TPMS sensors. 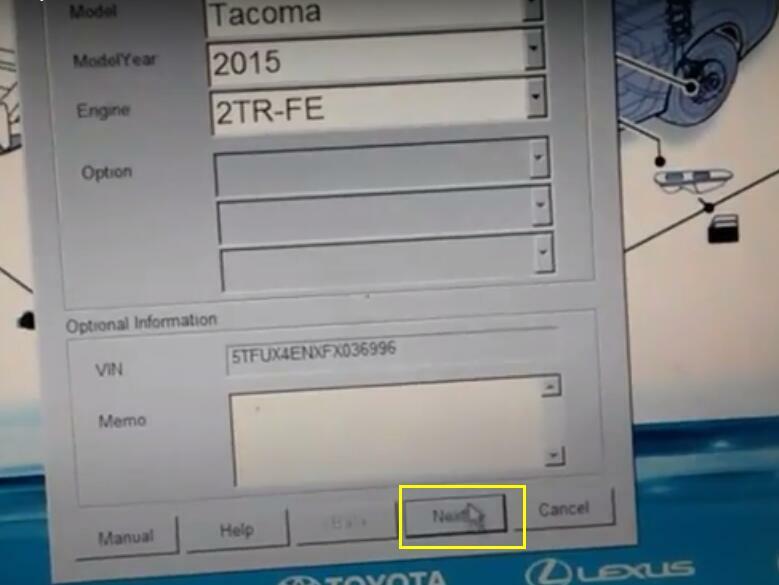 Tools you need to Program TPMS sensor for Toyota Tacoma. 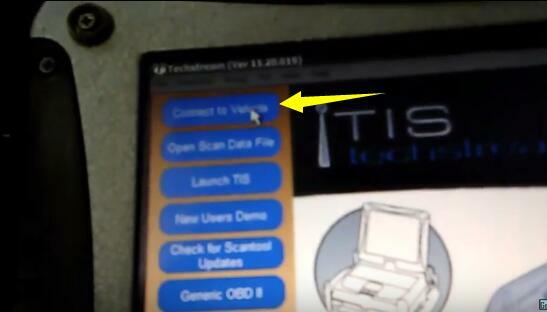 *1 A laptop installed with Toyota TIS Techstream Software. 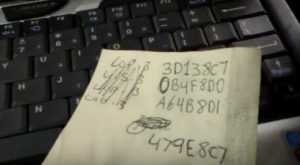 Step 1:Plug Mini VCI OBD2 Cable to vehicle via OBD2 port and USB side to laptop. 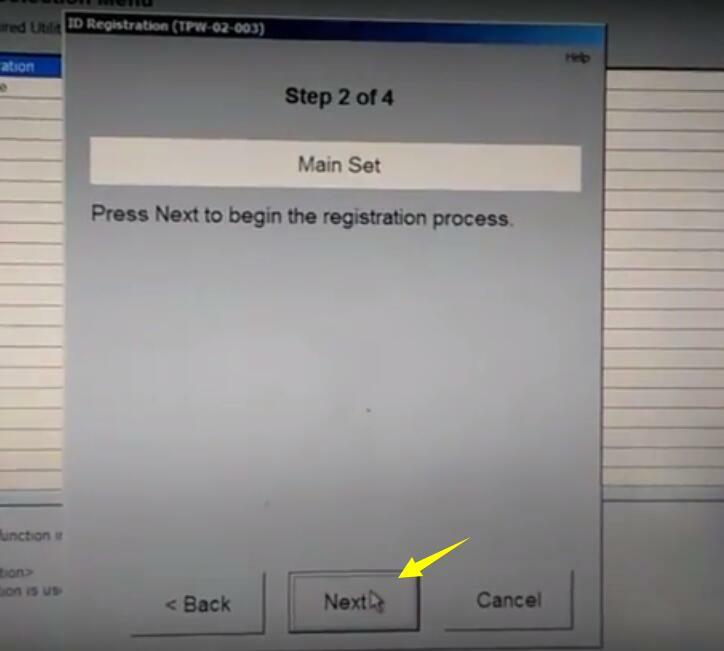 Open the Techsteram software,and Click the “Connect to Vehicle” at the top left corner. Step 2: Click “Next” and wait for completion of progress bar. Step 3:Click “Tire Pressure Monitor” and wait. 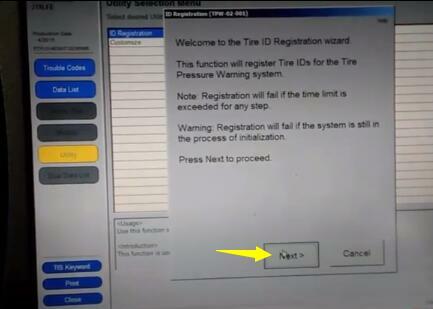 This function will register tire IDs for the Tire Pressure Warning system. Note:Registration will fail if the time limit is exceeded for any step. Warning:Registration will fail if the system is still in the process of initialization. 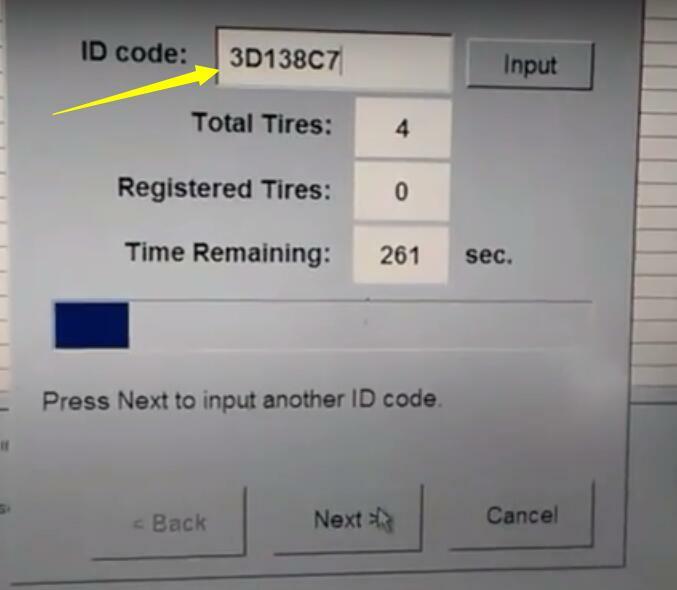 Step 5:Techstream show “Step 4 of 4”,and you need to enter the ID code of each TPMS sensor,the click “Next”.Redo this procedure 4 times. When you entering fourth ID code,it will remind you ID Registration is completed.Then click “Exit”. 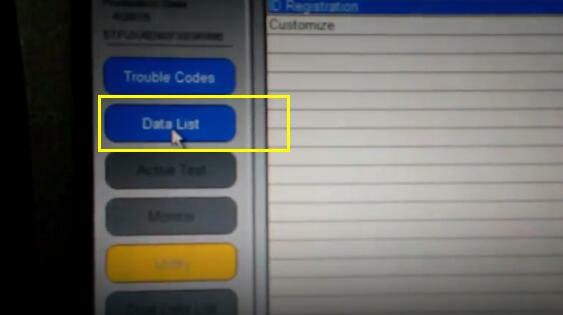 Finally Click “Data List”,you will see the TPMS sensors information.